From lagoon to ocean, Mosaic’s guests enjoy expertly guided birding activities whether by 4x4, quad bike, mountain bike, or walks. Abundant fynbos and bird life on 1000 hectares makes Mosaic a world-class birding destination with 5-star Lodge or self-catering accommodation. And in close proximity to top birding destinations at Hermanus, Stanford and the Danger Point peninsula. From the N2 highway take a left turn at ( R327) the Herbertsdale / Mossdustria road just before the Petroport and Engen One-Stop outside Mosselbay. NOTE � Do not turn at the first Herbertsdale turn off the N2, wait until R327!! Travel on this road for 14. Gondwana Private Game Reserve provides an authentic African Safari Experience less than a four-hour drive from Cape Town along South Africa’s scenic Garden Route. The 11,000-hectare (26,000 acre) Private Game Park offers a distinctive and luxurious malaria-free Safari Holiday destination with free-roaming Big 5 Safari Animals. The array of vegetation types allows for a variety of bird species. Gondwana also serves as an ideal base from which to explore the birding delights in the surrounding areas. The Herbertsdale road, Langvlei and Voëlvlei, the Wilderness National Park and many more offer top class birding. The perfect country getaway. The four comfortable self-catering Cottages allow us to share our joy of living in the Overberg. The cottages overlook the Nuwejaars River and biodiversity-rich Agulhas Plain. Visit the Black Oystercatcher Restaurant for a fresh dining experience. 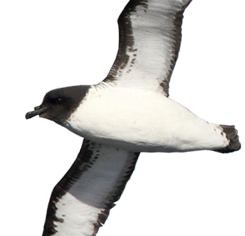 We are in close proximity to top birding destinations such as the Agulhas National Park, De Hoop and De Mond Nature Reserves and many more – the best of Overberg birding. Haarwegskloof Renosterveld Reserve represents the largest area of conserved lowland Renosterveld in the Western Cape and is owned by WWF-SA and managed by the Overberg Lowlands Conservation Trust. 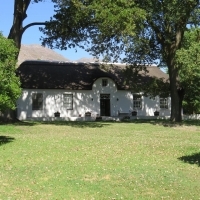 There are two options for accommodation here: i) a beautiful self-catering guesthouse (3 bedrooms) converted from the farm’s old milking shed and ii) the Renosterveld Research and Visitor Centre for those on a budget. Within this unique vegetation type and surrounding farmlands, several rares and endemics can be seen, including Black Harrier (which also breeds on the reserve), Secretarybird, Denham’s Bustard, Cape Vulture, Karoo and Southern Black Korhaans, Agulhas Long-billed Lark and Blue Crane. The Cottage and the Lodge are cosy, thatched, self-catering accommodation units which are set in our large indigenous garden. The lush, wild garden supports a wealth of birds for bird-watchers and those who just enjoy what nature has to offer. Experienced birders recently identified more than 50 species at the property during a two night stay. 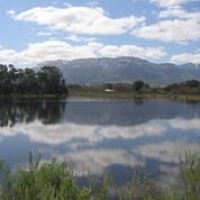 Swellendam is highly underrated as a bird-watching destination and the town is in close proximity to the Grootvadersbosch, Marloth and De Hoop Nature Reserves, the Bontebok National Park, the Tradouw Pass and the Overberg Wheatbelt. Mountain View serves as an ideal base from which to explore the birds of the region and further offers excellent garden birding. Set in a beautiful and tranquil kloof of the Paardeberg, Fynbos Estate is a wine farm and mountain nature reserve just an hour from Cape Town. With beautiful old buildings, lovely gardens, various walks and spectacular views, Fynbos Estate has come to be a favourite amongst local and overseas guests with a love of nature and countryside, comfortable yet simple accommodation, and fine quality food and wine. 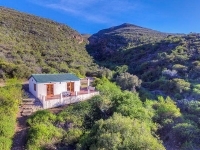 And not only does it have itself a lively population of birds, but is situated a stone’s throw away from all the best-known Cape West Coast, Swartland and Cape Winelands birding routes. The Paardeberg is well known for its Black Harriers, European Bee-eaters and Verreaux's Eagles. Birdsong, Hermanus sits nestled in a grove of Milkwood trees, overlooking the Vermont Saltpan, a very well known bird sanctuary. The four bedroom, three bathroom house is fully equipped for eight people. Birdsong is any birder's delight. There is a great diversity of waterbirds here and it is often possible to see up to thirty species from the patio. The Saltpan is fed only by rainfall and run-off from the mountains and in years when there is low rainfall the pan may dry out. The large grove of Milkwood trees on the Birdsong property bring a different suite of birds into play. Birdsong serves as an ideal base from which to investigate many of the top birding destinations along the Cape Whale Coast. 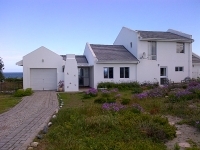 This self-catering holiday home can accommodate 4, 7 or 13 guests and is situated on the beautiful Shelley Point Golf Estate. It borders on a green belt overlooking Brittannia Bay and offers spectacular ocean views with magnificent sun and moonsets. Enjoy bird-watching in the indigenous garden, with 8 bird baths and 4 bird feeders. It is in close proximity to top Cape West Coast birding destinations such as the Rocherpan Nature Reserve, Velddrif and the Bergriver Estuary and the West Coast National Park. BERTLEY’S Holiday house is a beautiful large holiday house, situated close to the water’s edge and the very well known birding destination of the Vermont salt pan. It sleeps up to twelve people very comfortably in six double bedrooms of which two are en-suite. It features two big balconies with stunning mountain views and a built in braai. The fully equipped house further features a large games room. Bertley's serves as an ideal base from which to explore birding destinations such as the coastal hiking trails, Harderbaai, Fernkloof and many more. 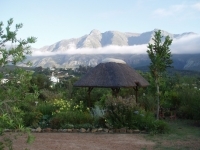 We offer nine luxury self-catering cottages and one farm house on a working fruit farm, 9km from Ceres, overlooking the fertile Ceres valley and situated at the foot of the magnificent Skurweberg mountains. Our cottages are fully equipped with under-floor heating and/ or fireplace for cold winters, TV with DSTV, fully equipped kitchen, braai facilities & outside verandah, bedding & towels. Birding can be done from your cottage, around the orchards, at the farm dam and in the mountain.You can also relax at your cottage or do hiking, biking, bass fishing, walking, star gazing and swimming on the farm.